Now in its second year, the Preceptor Recognition Program recognizes clinical preceptors whose leadership and mentoring skills stand out. In 2017, the AARC presented 13 members with this distinction, naming them in the inaugural class. Nominations for the 2018 program are now open and must be completed by a director of clinical education or a program director by July 30, 2018. 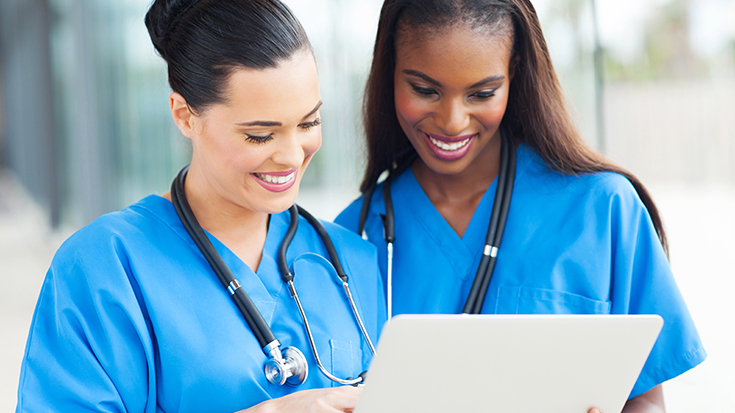 AARC Members Shellie Moore, M.Ed., RRT, RRT-NPS and Georgianna Sergakis, PhD, RRT, FAARC share their thoughts on the vital role preceptors have in student success. They’ll also discuss the importance of recognizing preceptors for their commitment and contributions to the profession. “[Preceptors] are at the forefront where respiratory students, classroom fundamentals, and the patient’s breath meet,” Moore said. In Sergakis’ program, the preceptors function as leaders, starting in a group approach and moving to a one-on-one apprenticeship-type model. Moore, who helped design the recognition program, felt it was important to find a way to “let every preceptor know how much they are appreciated and so very important to every student’s growth.” To Moore, the clinical moments preceptors provide are critical for developing student application and understanding. She hopes that through this formal acknowledgment, preceptors will feel pride knowing that the AARC, an international organization, recognizes all of their efforts and daily commitment to respiratory students. “I believe the AARC Preceptor Recognition Program is one way to represent a preceptor’s ongoing dedication to the growth and professional development of the respiratory therapists of the future,” Moore said. Moore believes respiratory therapists innately want to help and make a difference in the lives of others. It is through daily connections—with patients, family members, health care colleagues and more—that RTs “metaphorically have the ability to breathe life into every person with whom” they interact with, according to Moore. Moore feels that the recipients of this award are unassuming and deserving respiratory therapists and the future of respiratory therapy. According to Sergakis, preceptors help assist in the orientation, competency assessment and training of staff. For example, a preceptor may train other employees about a new therapy or protocol. The Preceptor Recognition Program is a great way to recognize and reward this commitment to professional training. Our 2018 recognized preceptors are set to be announced August 1, 2018. Their recognition will run August 1, 2018 through July 31, 2019.